The Best Practices for Sustainable Forest Management have guided the Finnish forests management for several decades. The guidelines gather scientific and practical knowledge of sustainable forestry and the best forest management methods. With these guidelines, the Finnish forests grow healthy and diverse to meet various bioeconomy needs. The Best Practices is an independent collection of research and practical know-how based guidelines. About 60 per cent of Finland’s productive forests are owned by ordinary Finnish families. Over 80 per cent of the wood used by the forest industry originates from these forests. Therefore, it is extremely important to ensure that even the privately owned forests are managed according to the best information available. The Finnish bioeconomy is based on sustainably grown forests. The Best Practices have a key role in guiding the forest management actions. Since the forest owners have heterogeneous values and preferences they also have multiple goals for forest management. Others value profitable and efficient wood production while others value recreation especially. Most forest owners have multiple goals and combine different ways of forest use. The Finnish forests are suitable for a wide range of economic purposes over their different growth stages. In addition to wood, the forest can provide for example resin and chaga mushroom and an environment for green care services, such as health walks, guided berry picking tours or nature photography. The largest profits are made with the sale of good quality logs. At the same time the small diameter trees, as well as the crowns and stems, can be utilised in energy production. Additional income can be obtained, for example, by renting hunting rights or via contracts with entrepreneurs providing services in nature. The Best Practices for Sustainable Forest Management are composed to support the multiple goals of the forest owners. The Best Practices are completed with several detailed guide books on specific topics such as protection of waters, peatland forestry and biodiversity. In Finland the Best Practices are included in the basic education of forestry professionals. The Best Practices are drawn in a wide cooperation of private forest owners, forestry experts and forest, energy and environmental researchers. A broad knowledge base ensures that the guidelines are scientifically valid and work for the benefit of the forest owner in practice as well. 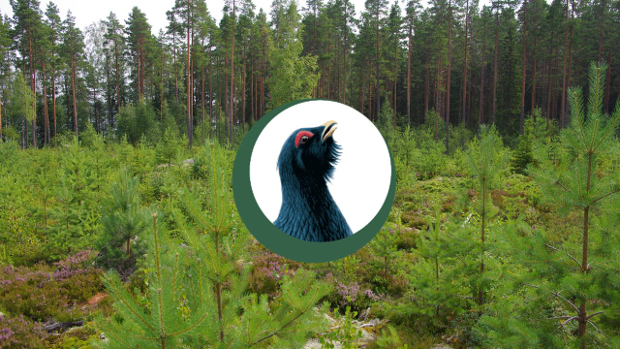 The service is financed by the Ministry of Agriculture and Forestry and the basic collection can be downloaded for free (in finnish). The Finnish forest policy promotes national interests. In Finland, the good state of forests ensures the well-being of citizens both directly, and indirectly, in the form of tax revenue. Therefore, the state finances the compilation of guidelines based on reliable information to support the forest policy implementation. The Best Practices for Sustainable Forest Management is the basis for the sustainable managed Finnish forests. Tapio Ltd is responsible for composing and publishing The Best Practices for Sustainable Forest Management. Tapio coordinates the guideline collaboration with various shareholders. The author of the article Tarja Ollas is the marketing and communication specialist at Tapio Ltd.